Looking for a natural way to relieve some stress? Yoga stress relief is one method that could work for you. Not sure what it's all about? Well let me tell you more. It is one of the popular ways to relax your mind and body. Originally it was used for spiritual growth and development. Due to our busy world today, it's crossed over and is now also used to relax and relieve stresss. The goal of yoga stress relief is for you to reach a peaceful state of mind by combining deep breathing, physical poses and meditation. o Hatha: focuses on the basic poses. o Vinyasa: more vigorous and includes poses coordinated with breathing. o Ashtanga: a more physically demanding style, which inspired what's called power yoga. o Iyengar: focuses on proper body positioning in each pose. The poses are usually held for a long period of time. o Kundalini: focuses on repetitive movements and the freeing of lower body energy so that it moves up. You can get started without buying tons of equipment. A simple blanket and pillow will do the trick. Other items that may help with your poses are mats, straps and blocks. Here is a good place to some great yoga stress relief products that might be helpful. Wear something comfortable. Loose or stretchy clothes will work well. You want your stomach empty, wait at least 2 hours after eating. Since it focuses on the mind, a positive outlook and attitude area big plus. It can be performed at home or in a class. The new Nintendo Wii Fit console is becoming a popular way to combine video games with exercise. No matter which setting you use, your experience will consist of a series of movements. These movements will be made up of different poses that you will hold for several seconds. Improves flexibility through the stretch your joints and muscles receive. This can help prevent injury. Holding the poses help increase your strength, and also improves muscle tone. Breathing exercises done can help improve your breathing by making you more aware of it. After hearing about it I decided to try it. I found getting into and holding the positions were pretty easy for the beginners version. It's important to take the time to learn how to hold the poses correctly. Otherwise you face the risk of injuring yourself. It was definitely relaxing.....a little too relaxing. I found myself getting sleepy while holding the floor poses. Overall, I think it's something that has some great benefits. The pros definitely out weigh the cons in my opinion. I find it works well when you are trying to relax, but you must have a separate workout routine for total body balance. 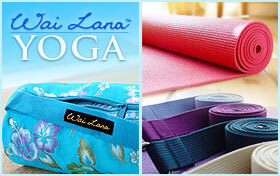 Looking for yoga products to help get you started? Click here. Yoga stress relief is only one of the ways you can relieve stress. Click here to learn about some other stress relieving methods. | Top of "Yoga Stress Relief "